regular massage is a wise investment in health and wellbeing. it relaxes tense muscles and stimulates the body’s own healing system — and helps you feeling your best. massage therapy is so much more than a luxurious way to relax. 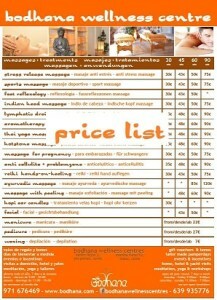 how about making massage a priority in your life for a healthier tomorrow! our team from bodhana wellness centre is happy to help you finding a treatment tailored to your needs and the spirit of the moment, to improve your physical, emotional and overall wellbeing. you have the choice of enjoying the best massages on mallorca in one of our centres or in your home, boat or hotel. we are flexible and reliable. psychologically massage reduces anxiety and stress, relaxes body and mind. it creates a sense of well-being by increasing self-esteem, promotes awareness and improved body image. helps reduce emotional trauma through relaxation. physically a massage relieves contractions, helps improve physical mobility, muscle tissue, the cardiovascular system, the lymphatic, nervous, respiratory, digestive, and much more. a full body massage could be from 60 to 90 minutes (or more) and includes the whole body from head to toes. our speciality and most popular massage is a mixture of sports and stress release massage, where we work on knots and contractions and leave you relaxed and calm at the same time. the pressure it just before the edge of being painful and yet you can really feel that some work has been done. we also work on sports injuries and particular issues, big part of our clientel are international golfers, tennis players, cyclists and footballers. 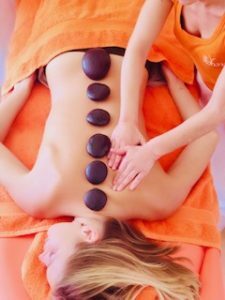 if you wish, you can choose a mix of different techniques, like indian head massage, back massage and foot reflexology, as everybody is trained in all specialities. you are welcome to tell us at any time, if you wish the massage to be stronger, deeper or more relaxing. a shorter or more specific massage in a particular area of your body, which needs more attention and treatment. any problemzone massage which relieves you of contraction, pain or/and stress. you decide the lenght and technique. reflexology, an ancient art practiced by all cultures, is a science based on the premise that there are zones and reflex areas in the feet which correspond to all glands, organs, parts and systems of the body. the physical act of applying pressure using thumb, finger and hand techniques to these reflex areas results in the reduction of stress which promotes physiological changes in the body. each foot has over 7,000 nerve endings, 26 bones, 107 ligaments and 19 muscles. this type of drugless therapy creates a physiological change in the body by naturally improving your circulation, which reduces your body tension and enhances relaxation. it aids in the elimination of body waste and restoring the body functions to better health. many of our health problems can be linked to stress. it is an acknowledged fact by the medical community that a body trying to function while under the influence of prolonged stress is less capable of organizing its defenses against illnesses and repair damage caused by injury. stress can be either mentally, emotionally, physically, or environmentally induced. reflexology can negate the effects of stress while it helps the body relax. we are happy to answer any further question that you have in one of our bodhana centres, calvia! the lymph drainage is a very light form of massage that stimulates lymph flow in the body. The lymphatic system is a slow moving system of vessels and lymph nodes that is complementary to blood circulation system . the lymph takes care of providing nutrients to the cells and removes excess water, it removes cell debris, bacteria, viruses and toxins. a therapist trained in lymphatic drainage massage stimulates the lymphatic system with very light circular motions. by stimulating the lymphatic system, the therapist helps drain swollen or inflamed tissue, it strengthens the body’s immune system, helps the body to recover after surgery and assists in the detoxification and the natural elimination of waste from the body. manual lymphatic drainage usually has a very calming and relaxing effect. osteopathy is a practice based on the theory that diseases are due chiefly to loss of structural integrity which can be restored to harmony or equilibrium by manipulation. the gentle but firm and effective manipulation allows the body to heal and it is through the manipulation that we do the diagnosis, treatment and prevention of disease. reiki is a japanese word derived from rei, meaning “universal” and ki meaning “the vital life force”. these japanese characters, when combined, present the concept of “universal life-force energy.” reiki can be defined as the art of activating, applying and balancing the universal life force energy that flows within every living being, animal or plant. reiki is an ancient tradition that uses universal life energy to support the body’s natural ability to heal itself. it traces its roots back to what is now tibet and is a natural healing method that uses the hands of a healer to channel energy to another person. a reiki session is relaxing and treats the whole person including body, emotions, mind and spirit. creating many beneficial effects that include feelings of peace, security and wellbeing. many have reported miraculous results. reiki is a simple, natural and safe method of spiritual healing and self-improvement. aromatherapy massage is a treatment which improves mental and physical states, and even helps to tackle some health problems. this massage is done with the application of essential oils and it helps to release muscle tension, hydrates the skin and provides immediate relaxation. oil scents have a positive influence on the nervous system. The brain is being affected by the scents though the inhalation process. 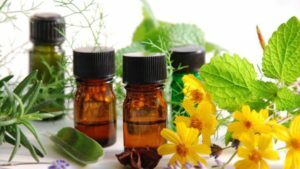 this explains why aromatherapy releases stress and anxiety, reduces digestive problems and headaches, and even improves the quality of sleep. some oils contain the elements which also work to release the fluids and stimulate blood flow. thai massage is a form of body work that is becoming increasingly popular in the west. a complete thai massage incorporates a traditional combination of acupressure, energy meridian work, and yoga-like stretching for an invigorating and balancing experience. thai massage improves circulation, flexibility, muscle tone, and is the perfect complement to any exercise routine. thai massage is most different from other forms of massage since there is no oil being used, the masseur uses a mattress on the floor (as opposed to a table), and you remain completely clothed throughout the massage. thai massage has sometimes been called “yoga massage”, or “yoga for lazy people”! this blend of acupressure and stretching is especially beneficial for those who find themselves stiff, sore, and tired from over-exertion in work or sports, or from arthritis or other debilitating diseases. thai massage enhances strength and flexibility, relaxes sore or tense muscles, and can help to recapture lost range of motion. by encouraging lymphatic function, this traditional deep tissue massage and stretching can also detoxify the body, heighten the immune system, and prevent disease and/or injury by promoting flexibility. indian head massage, also known in hindi as “champi”, is a traditional massage of the head that originated in india. it is a simple and incredibly relaxing massage of upper back, shoulders, arms, neck, scalp, face and ears. the indian head massage is based on ancient (ayurvedic) healing which has been taught in india and other asian countries for more than five thousands years. it has a long tradition in indian families, where mothers would stroke their daughters’ hair to promote its strong, healthy, lustrous growth. the modern father of indian head massage, narendra mehta, studied “champissage” in native india and brought his technique to the uk in the 1980’s. he had developed the “champi” and extended it to incorporate shoulders, neck, and face. the massage is safe, simple and very effective to give, without the need to undress or use oils. it can provide relief from aches and pains, stress symptoms, insomnia, promote hair growth, soothe, comfort and rebalance your energy flow which gives you a deep sense of peace, calm and tranquillity. over 5000 years ago the rishies (yogis, mistics) in india discovered a healing system (physical & astral) called ayurvedic. the founder is bhagwan danvantri. in the ayurveda system pain is provoked by an obstruction of the flow of vayu (air) in the vessels in the body. massaging the body generates heat which produces an expansation and change of the air. the circulation of vayu through the vessels dimishes the pain and leads to a deeper breath. this massage balances the energy in the body, opens the free flow in the channels and cleans the chakras and the blood, using circulatory movements, pressure and channeled energy to help the one receiving. nowadays most people live under pressure and with a high level of stress. constantly worrying leads to an accumulation of toxins and blocks the energy in the body. due to the special techniques of digitopuncture, friction and circulatory movement, we work on the bloodcirculation, the limph system, emotional, subtle and energetic and the muscle system to eliminate the physical and mental tiredness, increase the resistance to sickness and restore harmony. shiatsu is a therapeutic art from japan using thumbs, hands, knees and feet on the energy lines in the body to move the vital flow, the “ki”, and increase the capacity of self healing. based on the concept of inner & energetic balance of body and mind, shiatsu works on the meridians and acupuncture points of traditional chinese medicine stimulating the organism and moving the joints. shiatsu is very recommendable in case of muscle pain, stress, tiredness, digestive, breathing, nervous and circulatory problems. massage therapy during pregnancy is a wonderful complementary choice for prenatal care. it is a healthy way to reduce stress and promote overall wellness. massage relieves many of the normal discomforts experienced during pregnancy, such as backaches, stiff neck, leg cramps, headaches and edema (or swelling). in addition, massage reduces stress on weight-bearing joints, encourages blood and lymph circulation, helps to relax nervous tension- which aids in better sleep – and can help relieve depression or anxiety caused by hormonal changes. the black stones are volcanic and hand selected on the highlands of peru and argentina. they are washed out by the river which makes them round or oval and very soft. They are heated to 110 f and then carefully applied to heat the whole body tissue & muscles. after that preparation the whole body, arms, legs, back, front, neck, shoulders and face, are carefully and deeply massaged with the hot stones and oil. this process of one or one and a half hour duration gives you a profound relaxation and wellbeing. enjoy this incredible experience and share it with friends and family. it will also make a special gift. drawing any impurities and wax to the surface. they are helpful with excessive or compacted wax in the ears, irritation in ears and sinuses, pressure regulation in cases of : sinusitis, rhinitis, glue ear, colds, flu, headache, migraine, stimulation of local and reflex energy flow, energetic revitalisation in cases of hearing impairment, relaxing and calming effect in cases of stress, noises in the ears, ringing, tinnitus. the treatment takes about 30minutes for both ears and is not at all painful, rather relaxing. we also apply a gentle massage and reiki in the session. by having sessions of this kind of massage regularly, the muscles condition will improve (they will tonify) and the skin will be more elastic and firm. the techniques used in massage act on the fat cells (adipocytes) and help them to detach from the tissues and reabsorb evenly. massage has many health benefits for skin, connective tissue, muscular tissue and joints, circulatory and nervous system. peeling massage warms up the body and stimulates blood circulation in the skin, increasing its firmness and softness. peeling micro-granules remove dead skin cells, cleaning and smoothing the skin. a massage on specific areas of the body, which you find to be a ‘problem zone’, whether its a contraction, trapped nerve, cellulite or fat accumulation. 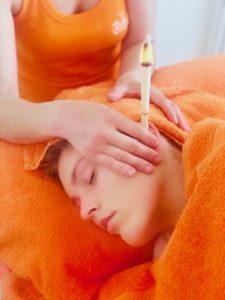 different forms of massage or treatment help to localized the problem and we adapt the technique which is needed in every individual case. enjoy a bright and perfectly hydrated skin that will make you feel radiant. we offer a full facial treatment with the most natural and respectful to your health products. we use karicia, a line of natural products, which are organically grown plant substances of high quality, that provide a real nutrition to our skin, in such a way that can almost hear the skin whispering ‘thank you’ when we apply the creams and oils. the hour facial includes cleansing, peeling, mask, nutrition and facial massage. it is an amazing experience not only for the face, but for the whole being. after one of our pedicures you will feel like you are floating above the ground. its important to take care of your feet, as the whole body reflects through them. allow your feet go into a state of relaxation that will be extended quickly to the rest of the body. enjoy soaking them in warm and aromatic water and receiving all the necessary care to make your feet feel smooth and healthy. we will remove callus, give shape to the nails, manage cuticles, scrub them nicely and give them a massage. finally we will apply a durable and professional polish color of your choice.